Tesla is an American Company that focuses on making electric vehicles as well as electricity generation and storage solutions. Tesla was founded in 2003 and its first model, the Tesla Roadster attempted to fuse a drivetrain licensed from AC Propulsion with the Elise chassis from Lotus. 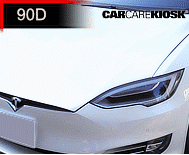 While the Company significantly underestimated the engineering challenges of the Roadster project and reportedly lost money on every one that was made, its charismatic CEO, Elon Musk was able to keep the Company capitalized well enough to build the revolutionary Model S.
Launched in 2012, the Tesla Model S was a beautiful sedan that featured enough battery range to go over 200 miles. EV efforts by other manufacturers at the time consisted of small, odd-looking vehicles with less than 100 miles of range that were positioned to compete with small gasoline economy cars. The Model S took the opposite approach: luxurious, attractive, expensive and long range with much success. While still a Company that achieves perennial net losses, Tesla now has a growing product portfolio that includes the Model X SUV and Model 3 sports sedan. The Company also features a network of fast charging stations, dubbed Superchargers.